Let us create the perfect atmosphere for the perfect day! 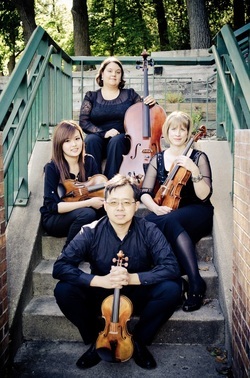 The Meadowlark quartet would love to provide the musical ambiance to complete your wedding or special event! The Meadowlarks are just as comfortable as a featured chamber group as they are blending into the event and creating a tasteful backdrop. Please visit our Media page to listen to a recording, and contact us to book the quartet for your special event!